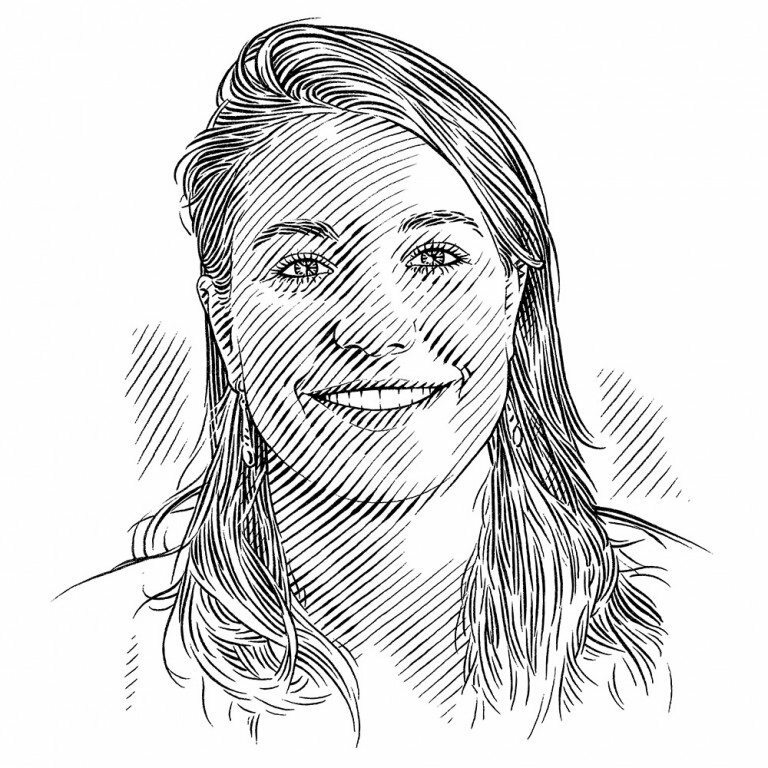 As part of a project called Baseline Caribbean, Erin Dillon is pioneering a new method of shark palaeontology that uses fossilised scales (dermal denticles) to discover what pristine shark communities looked like in Bocas del Toro, Panama. Philippa Ehrlich spoke to her about her study. Aaron O’Dea and Erin Dillon marvel at the thousands of years of uninterrupted growth of staghorn coral Acropora cervicornis in this coral cave at Cañada Honda in the Enriquillo Basin, Dominican Republic. Erin Dillon is pioneering a new method of shark palaeontology that uses fossilised scales (dermal denticles) to discover what pristine shark communities looked like in Bocas del Toro, Panama. How did you become a shark palaeo-ecologist? I attended a talk by Loren McClenachan in 2013. She was presenting her research on historical ecology, which involves looking at shifting baselines and analysing photos to investigate how the sizes of fish had changed over time. It was a really neat study and was probably my first introduction to historical ecology. It got me thinking about different tools that people can use to look at change over time in ecosystems, both in terms of community ecology and how people are influencing them. Then I got the opportunity to come down to Panama to work at the Smithsonian Tropical Research Institute (STRI) as an intern in Aaron O’Dea’s lab. He does a lot of research in palaeo-ecology and was working on this Baseline Caribbean project, which is essentially trying to reconstruct entire reef communities using time points from about 7,000 years ago, before major exploitation by humans. Aaron and his collaborators hadn’t really started looking at denticles yet. They’d found them in a couple of sediment cores, but they were very rare, so the team hadn’t begun to investigate them further. This gave me an opportunity to explore the denticle question a bit more and start to look at how shark communities were changing over time. Why is Bocas del Toro such an appropriate study site? Bocas is a neat site because there is an exposed, really rare and beautifully preserved mid-Holocene reef that dates back about 7,000 years. It gives us a window into the past, into what ‘pristine’, pre-fishing, pre-exploitation communities may have looked like. You can walk through the different reef zones. You can see where there might have been sea grass in one area and how there was a lot of staghorn coral on the reef itself. This species of coral is now listed as Critically Endangered on the IUCN Red List of Threatened SpeciesTM. The region has also been well studied by scientists at STRI, and there are modern reefs neighbouring the fossil reefs, all within the same sheltered fringing reef environment. Can you walk me through your method? We collect large bags of reef sediments from the fossil site and then do the same on the nearby modern reefs using scuba. All this carbonate material gets digested down using acetic acid, leaving us with things such as fish ear bones (otoliths), fish teeth, the spiny skeletal parts of sponges (spicules) and shark denticles. These are picked out of the samples manually using a paintbrush. We then compare the fossils with the modern samples to look at change over time in a similar environment. Historical reefs are usually covered up by modern reefs or mangroves, so this exposed site presents us with a unique opportunity to use palaeontology to look at the past in Bocas del Toro. So what was Bocas del Toro like 7,000 years ago? About 7,000 years ago it looked like there were a lot more corals, especially staghorn coral Acropora cervicornis and branching finger corals Porites spp. There’s been an unprecedented shift to lettuce coral Agaricia tenuifolia within the past century. But a coral reef is much more than just the coral. Our lab is focused on reconstructing the whole reef community. All the data are getting worked up right now. We’re looking at fish ear bones and teeth, we’re looking at dermal denticles and we’re looking at sponge spicules, for example, but the picture is still pretty preliminary in terms of piecing together the entire community. In terms of relative abundance, it appears that there are fewer fish and fewer sharks today, but also that the communities have shifted. We’re still trying to work out exactly how those shifts occurred. SEM (Scanning Electron Microscope) images of a dermal denticle from the dorsal fin of a modern shark: from left to right: silky shark (Carcharhinus falciformis), tiger shark (Galeocerdo cuvier) and bull shark (Carcharhinus leucas). How have shark communities shifted? We’ve seen a wide diversity of denticle forms, both in the modern sediment and in the 7,000-year-old sediment. However, it does look like there’s been a shift in the forms that we’re seeing. Different types of sharks have different forms of denticles that have various functions. For instance, fast-swimming sharks have thin denticles with many narrowly spaced ridges, whereas bottom-dwelling sharks possess thicker, smoother denticles that form a protective armour. I’ve been working a lot on our reference collection right now to verify the existing descriptions of denticle types using measurable traits and to better understand the variation of denticles across different families of sharks. I’m also measuring the denticles to explore what other ecological information we may be able to glean from them. I then apply what I’ve learnt about these relationships between denticle form and shark ecology to the isolated denticles I find preserved in reef sediments. We’ve observed an increase in the relative abundance of thicker ‘abrasion strength’ denticles that are often found on nurse sharks and a decrease in thinner, ridged denticles that are often found on requiem and hammerhead sharks. This suggests that there has been a shift in the community of sharks: a decrease in the faster, predatory sharks and an increase (or no change) in nurse sharks. This makes sense, given that nurse sharks aren’t of very high commercial value. They are nocturnal bottom-dwellers, so they may also avoid being caught as by-catch by fishermen. It’s promising that we’re seeing plausible trends with this novel approach. Can dermal denticles help us to understand questions about abundance or only relative abundance? Right now, we’re looking at relative abundance; that is, whether there was relatively more of one group of sharks than another in the past as compared to the present. We can work this out by looking at denticle accumulation in the sediment. Sharks continually shed their denticles. These denticles are transported a little bit through the water column and they eventually settle on the substrate surface. At the same time, there is sedimentation and reef growth, so we look at the number of denticles per a given amount of sediment. We take bulk samples that are approximately 10 centimetres (four inches) deep from the substrate surface. Then we can use some of our existing sediment core data to understand how fast the reefs were growing at that time and approximately how much time that 10 centimetres represents. This can give you a relative measure of how many sharks there were based on the composition of denticles. We still need to investigate denticle shedding rates and how well the different denticle types are preserved, as well as compare the denticles we find in the sediments to modern surveys of the living shark communities in order to understand absolute abundance. Do you have plans to expand the study to other sites? In Dominican Republic there’s another really neat suite of fossil reefs that are between 7,000 and 9,000 years old. Visiting this site can show us whether the composition of pre-human communities of sharks varied over space as well. We hope to see the same trend at the two sites, but even if we don’t, that’s also going to paint a really interesting picture of how different locations even within the Caribbean had very different pristine shark communities. And we’re hoping to do something similar at Palmyra Atoll, in the Northern Line Islands. A collaborator of ours has collected sediment from Palmyra, which is considered to be one of the gold standards of ‘pristine’ in the Pacific. What kind of interest have you had in your research? I’ve talked to several people in Panama and the United States. 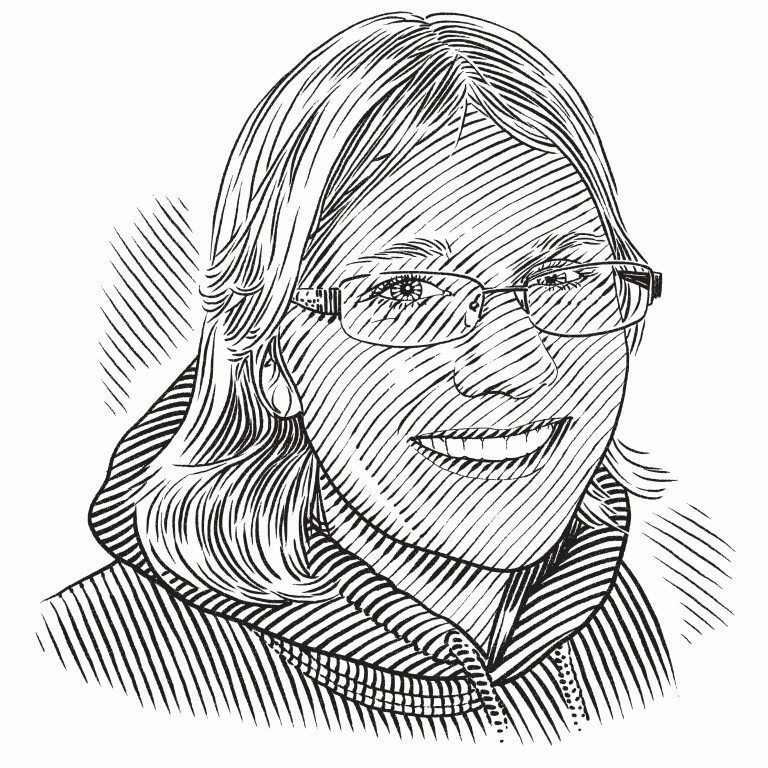 Other researchers seem very excited about the potential of the tool and the prospect of developing it further, because the unique insight that it can give us into shark baselines is not really accessible by traditional survey methods. This information is locked in the past. Scientists have tried to use fishing logs, interviews and other anecdotal accounts. They have even looked at pottery, photos and historical illustrations to reconstruct the past, but these don’t always give you an empirical answer. 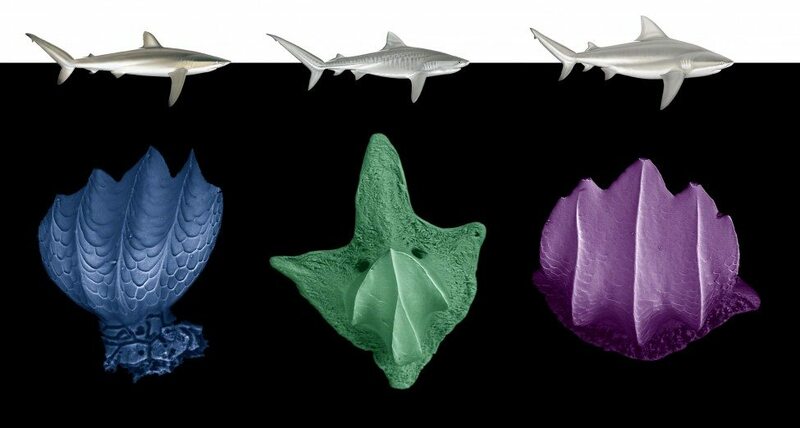 So in that sense, fossilised denticles are really one of the few ways to understand quantitatively what healthy shark communities looked like in the past. Erin uses fossilised shark scales to go back in time to the world of sharks before humans, giving us our first real glimpse of what pristine shark abundance might have looked like.